The experience of traveling and staying abroad may not be complete if you can’t carry your TV with you – not literally, off course. But you have to come to terms with the dark reality. Most US TV companies have done all that is humanly possible to block their content abroad. So, the moment the jetlag wears off, and you want to unwind by tuning into your favorite TV channel to watch the latest episode of the show, you soon realize you have another problem. Hulu returns an error, and the TV or device you are using greets you with a black screen. But it does not necessarily mean you can’t access your favorite videos while on tour abroad. Here is how you can watch US TV elsewhere. With a stable and reliable internet connection, you may still be able to watch most of the basic cable TV channels like CBS, ABC, and Fox for free via the US TV Now website. What is more, this cool website doesn’t necessarily need a VPN to access content. So, while you are relaxing on the beach after splashing around in the ocean waters in a hot afternoon, you can switch the internet on and tune into US TV Now. You can access the internet via free Wi-Fi, if available, or through the mobile broadband availed by your mobile service provider. You may incur a cost, but it should be a small sacrifice to make if you wish to make your stay abroad memorable. You can always create time for popcorn while abroad as a way to beat the perpetual homesickness via an app known as Popcorn Time. Download this app to your computer to stream almost any TV show or movie for free. The app allows you to obtain content from torrents via a Netflix-like interface. But there is a catch. You know pretty well that the authorities don’t take it too kindly when people view pirated movies and TV shows. Apart from taking into account the internet charges, you will have to find ways of insulating yourself from charges of illegal access to US TV content. 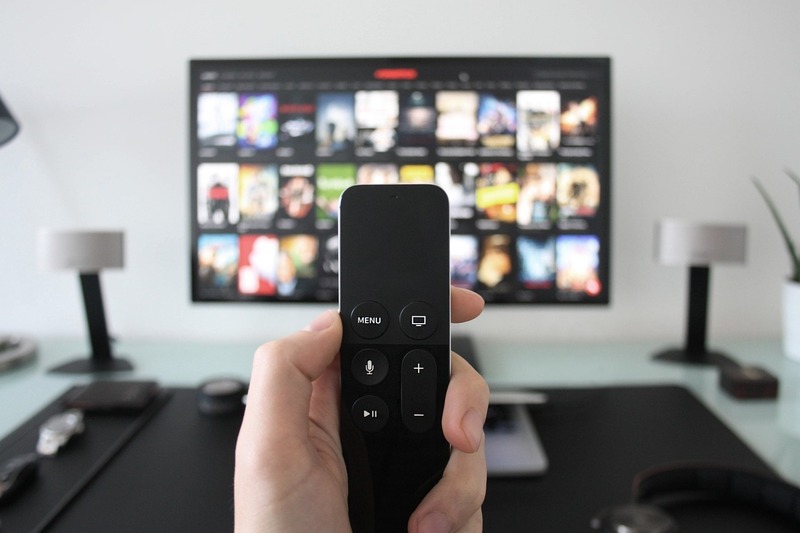 Although a few apps are available to grant you access to US TV content while you are abroad, they are not a guarantee that you will watch your favorite TV programs. Some content providers, such as Netflix and Hulu, have been working round the clock to ensure that folks outside the US borders do not access their services. Consequently, US TV Now and Popcorn Time may still give you a black screen when you try to access some TV shows. To circumvent this problem, you will have to engage in VPN services. A VPN or Virtual Private Network creates a secure and private internet connection between your device and the web. It achieves this feat through a host of servers around the world which encrypt the data traffic from your devices before channeling it to the internet. Hides your location; hence, saving the agony of location-specific ads bombarding your inbox. This VPN offers great security and speed and has absolutely no qualms penetrating the Great Firewall of China. You can watch US TV content on a variety of platforms, such as BBC iPlayer, Hulu, Netflix, and Amazon Prime, among others. No geo-blocking measure is too hard for this VPN. Nord is the best choice for heavy Netflix users. It offers robust security features, high speeds and servers optimized for different purposes. If Netflix is returning a black screen to indicate geo-blocked content, sit back and relax as this VPN will do the donkey work you. You can surf the web and watch blocked US TV content like a ghost while on holiday in Panama. CyberGhost boasts of impenetrable encryption and impressive features such as the kill switch. Although it had some concerns in the past, it seems to have sealed the loopholes, and you can now comfortably watch Netflix from a remote corner of this globe. Unless you are in China, you can consider using the Private VPN considering that it happens to be the cheapest of all VPNs. But you will have to find a way of connecting it with your TV since it doesn’t have a router app. However, you can still enjoy US TV shows via torrenting – that is, if you are not in China. Unlike most other VPNs, TorGuard is more reliable for streaming TV content. With more than 3,000 servers spread all over the globe, it offers access to content from just about anywhere, including China. It gives a unique IP for each streamer, making it almost impossible to block. However, you will have to dig a little deeper into your pocket since it comes with a hefty price tag. You can still be quite at home even as you enjoy your holiday abroad. You can still watch your favorite US TV shows reliably through the use of secure VPNs. Apps may work, but TV content providers have gone an extra mile to ensure viewers outside the US don’t access their content. You may have to set aside some funds to connect your device to an effective VPN that will pave the way to US TV content while you are abroad.